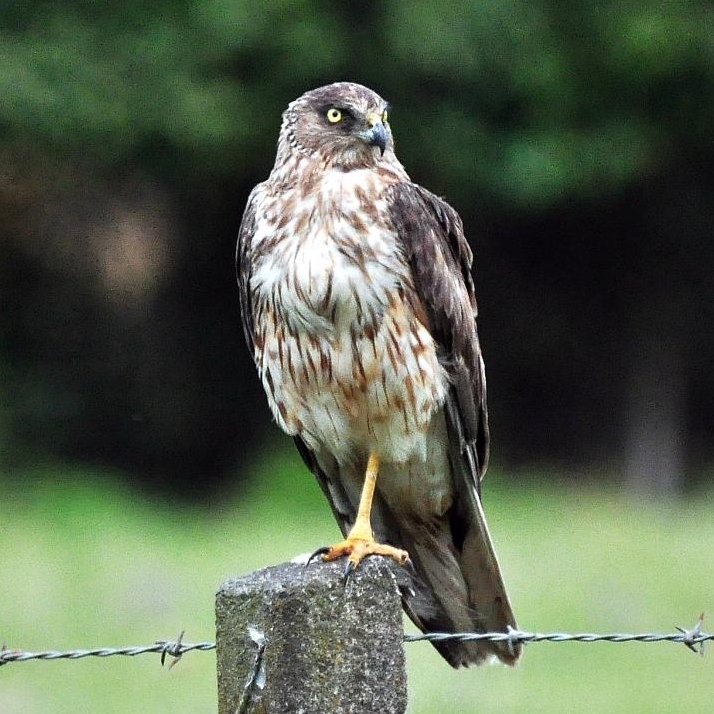 It can be easy to confuse a falcon (karearea) with a harrier Hawk (kahu). At first glance they can appear similar, due to having a similar shape and colouring – but look a little closer and the differences are great. The greatest difference is of course the numbers of each bird. The harrier Hawk is found in abundant numbers throughout New Zealand. Whereas the falcon is extremely rare and are eminently more difficult to spot. The harrier Hawk is also larger than both the male and female falcons, in fact it is almost twice the size of a female falcon. When flying the harrier Hawks tend to flap their wings and glide before flapping again, playing on the wind currents. The falcon is much faster, normally flies to a destination, maybe chasing it's next meal and has a constant very rapid wing beat. Marlborough Falcon Conservation Trust is a registered charity with the New Zealand Charities Commission (registration CC35743), making all donations tax refundable.